An ideal time to try something different. If you’re a cocktail fan, there are a lot of new choices out there. 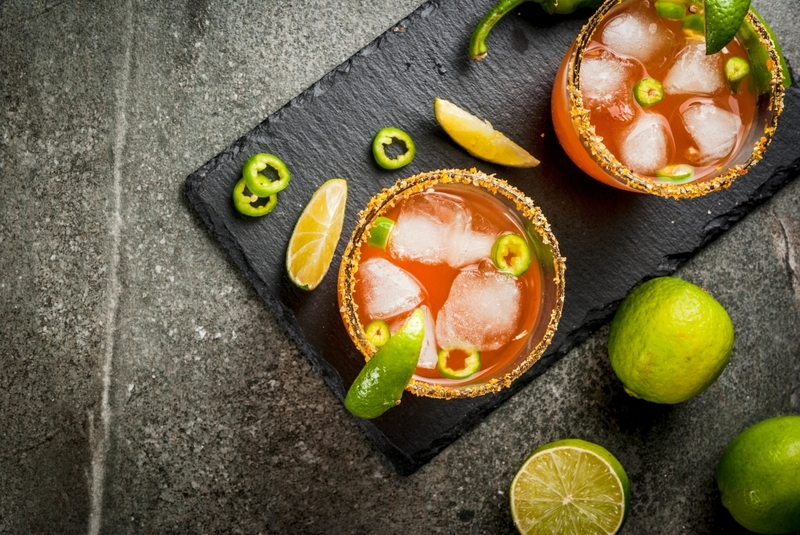 From alcohols to mixers to garnishes and even recipes, there’s something new for everyone. Here are a few of the more noteworthy items you can find at the store… and a few recipes to try if you’re feeling brave. Old Forester has teamed up with Bourbon Barrel Foods to introduce a line of bitters, tinctures, and syrups. Their idea is to help you take your homemade cocktails to the next level. Flavors include Smoked Cinnamon Bitters, Perfect Old Fashioned Syrup, Salt and Pepper Tincture, and more. Check them all out, along with some recipes that use them, here. We’re tempted to try them ourselves soon, and if we do, we’ll let you know what we think! Move over Johnny... here comes Jane! Johnny Walker is set to finally debut its feminine edition, Jane Walker. Jane was supposed to make her big entrance after Hillary Clinton won the 2016 election. When that didn’t happen, the company pushed the release back. Jane Walker is set to be a special 12-year-old edition of Johnny Walker’s popular Black Label blended Scotch. The Striding Man on the label has been transformed into Striding Woman, complete with the same outfit and accessories the man wears. The official release date for Jane Walker has yet to be announced, but word is that it might be around International Women's Day in March. SPLASH mixers are just 20 calories each. You can pair them with your favorite liquor for a ready-to-drink cocktail, or with sparkling water for a non-alcoholic treat. The mixers are currently available in ginger pear, cosmopolitan, Moscow mule, margarita and mojito flavors. They’re all-natural, gluten free, non-GMO, and Kosher certified. KFC has decided to jump on the “stocktails” train. With stocks being a trendy cocktail ingredient in some circles, the Colonel is now proposing that chicken lovers use KFC’s gravy as a mixer. The company has introduced three recipes including the Gravy Mary, the Finger Lickin’ Sour, and the Southern Twist. You can find the recipes here, and see them being made here. Not up for making a KFC gravy cocktail yourself at home? If you’re traveling in the UK or Ireland, you might actually be able to find one on a menu. Either way, if you try one, we applaud you – and we hope you’ll let us know how it tasted!